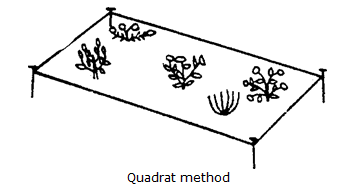 There are following two types of sampling methods: (a) Transect method A transect is a long rectangular sample plot. It is used to study variations in vegetation. Vegetation varies with the changing environments. These variations are caused by slope, exposure, edaphic and topographical irregularities.